In the Caput Mundi for the first time in the world we combined a dipole load for the low frequencies with a coaxial compression driver horn loaded for the medium and high frequencies. The variety of finishings offer the possibility to modify it easily over time, allowing the Caput Mundi to be perfectly inserted into any environment, for the pleasure of all. The handcrafting of the construction is merged with the design, creating a sought-after object that is extremely exclusive and can be personalized with various colors and finish. 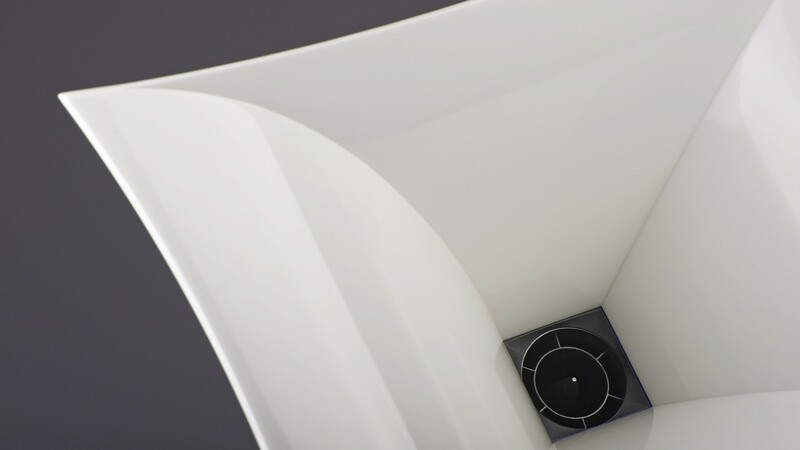 The use of innovative materials (CLAD 58 and CORIAN), here used for the first time in an audio system and the optimization of the parameters of the project, exalting the advantages of the technologies used (dipolar load and coaxial transducers horn loaded), for a result that is dynamic, transparent, articulated, coherent, natural, life like and with total absence of listening fatigue that has left more than one listener stupefied. Caput Mundi in its entirety has been achieved in the most suitable for its specific function. We already mentioned Clad 58 and Corian, in it coexist anodized aluminum, stainless steel, wood and PVC. Aluminium is used to support the driver / horn (because it combines strength with lightness and ease of processing), the steel is used in both the reinforcement of the structure (for his strength) and is in the plate of two wf (for its spring force). 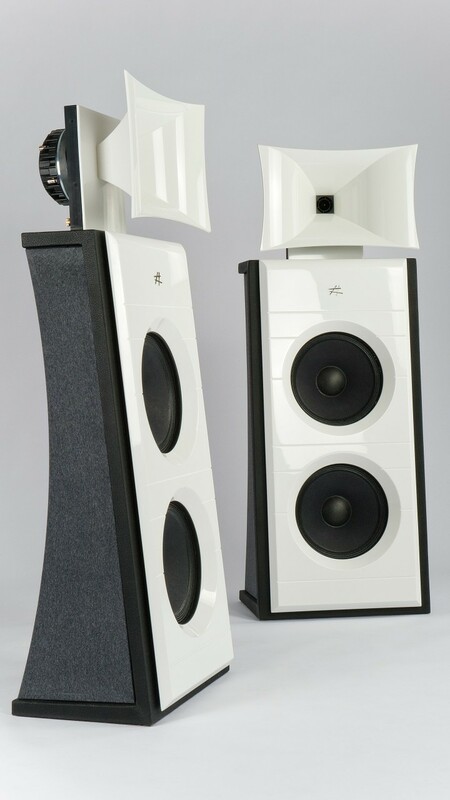 The wood is used in front of the speaker (either as solid or as MDF), while the PVC is used in the base of the cross-over, the thickness of the wf is in the frame and back. The charge dipole is what in our experience gives us the highest quality sound. Its merits are many. To start, it has a total lack of coloration of sound which is caused by the traditional furniture of the main loads. It has an excellent damping system (the stereo and filter are attached to it) without altering the parameters of the speaker cabinet. 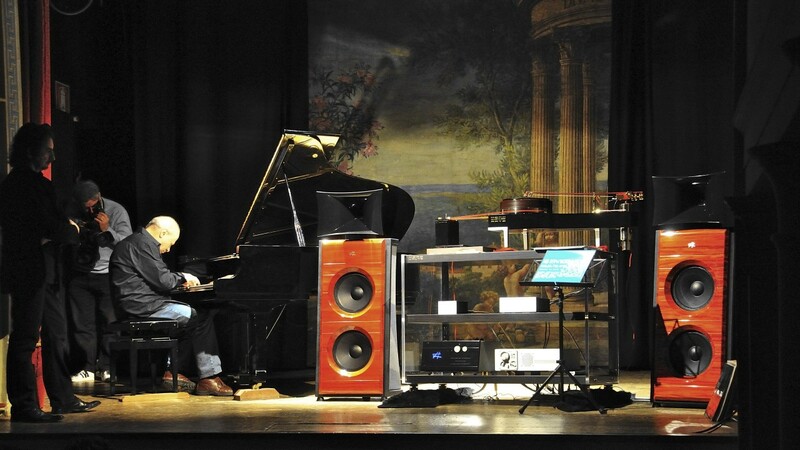 Not to mention the naturalness of its sound, which is due mainly to the lack of mobility and ease of issue that translates into high quality allowing it to play well with low power and low listening levels. 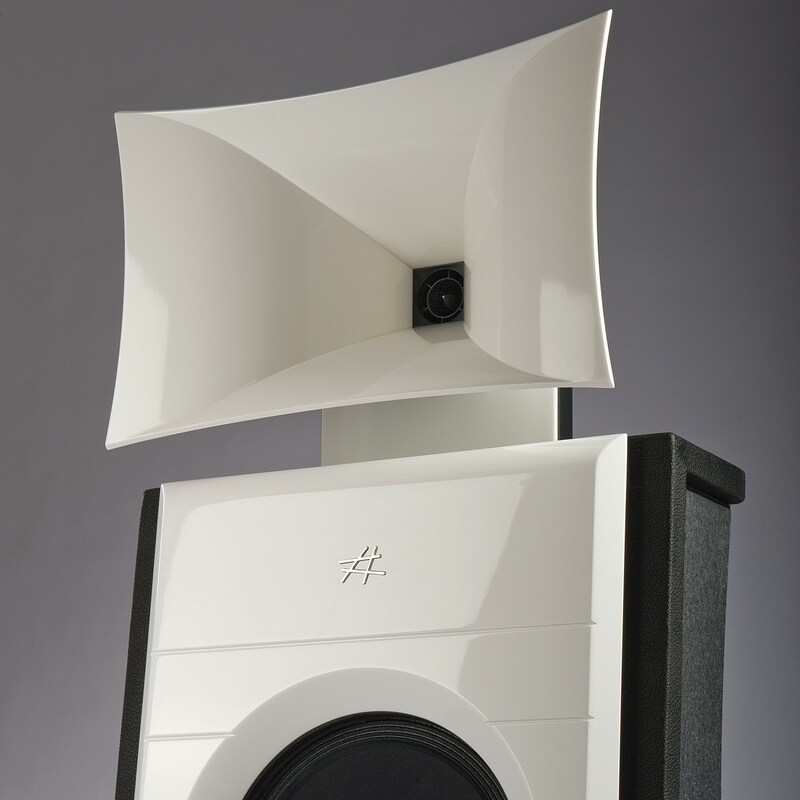 It has excellent detail retrieval and articulation because of its small variations of the phase noise, variations that are well audible (as opposed to what you think) and facing the vast majority of speakers on the market using traditional loads. The presence and level of low frequencies are obtained by combining two wf 12-inch high-efficiency filtration to a mobile differentiated by the particular form in the back that would allow to have the least possible loss of level. Using an innovative (CLAD 58) for the mobile, a conglomerate of our formulation composed of mineral dust and special resins is used in liquid form within a ‘single mold at the time of solidification ensures excellent rigidity and damping , well above the wooden furniture or the like that with their vibrations disperse much of the sound level that a dipole can return. The light on the front horn loaded wf improves the efficiency of the noise in the media and contributes to the midbass range realistic sound. The use of a concentric compression driver allowes to obtain a single trumpet with a consistent and coherent emission from about 600 to 25,000 Hz, a result perhaps unique in the world. 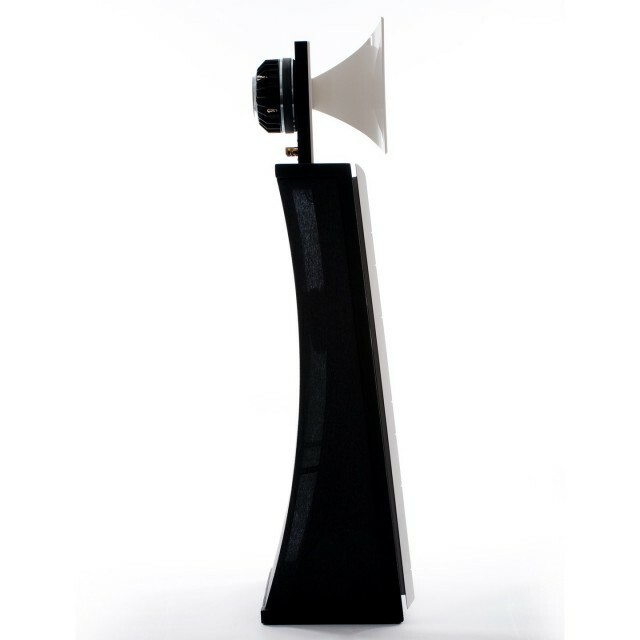 The shape of the trumpet and its radii allow for a carefully designed dispersion also excellent off-axis response and a regular speaker. Impute to them the filter cross-over with the minimum number of components in series has now become possible and thus have a realistic and natural sound with minimum phase shift. 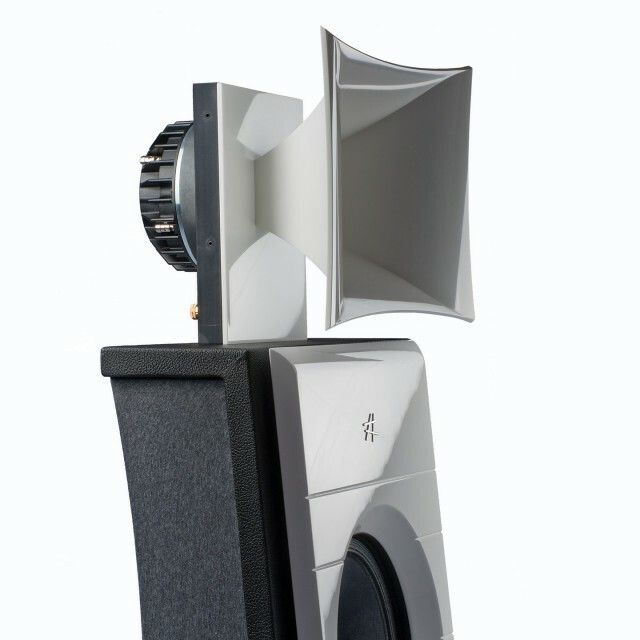 The current trend is to increase the number of anchor points of the speakers (especially those of low frequencies) for additional strength in coupling between the vibrating element (speaker) and the material on which it is attached. In our speaker system Total Fix-wf stipulates that the two are trapped in a shoal of the structure and then are locked (with the interposition of a thick PVC) from a single steel plate from 20 / 10 through nine fixed bolts M8 screwed into the same sockets drowned in Clad 58. 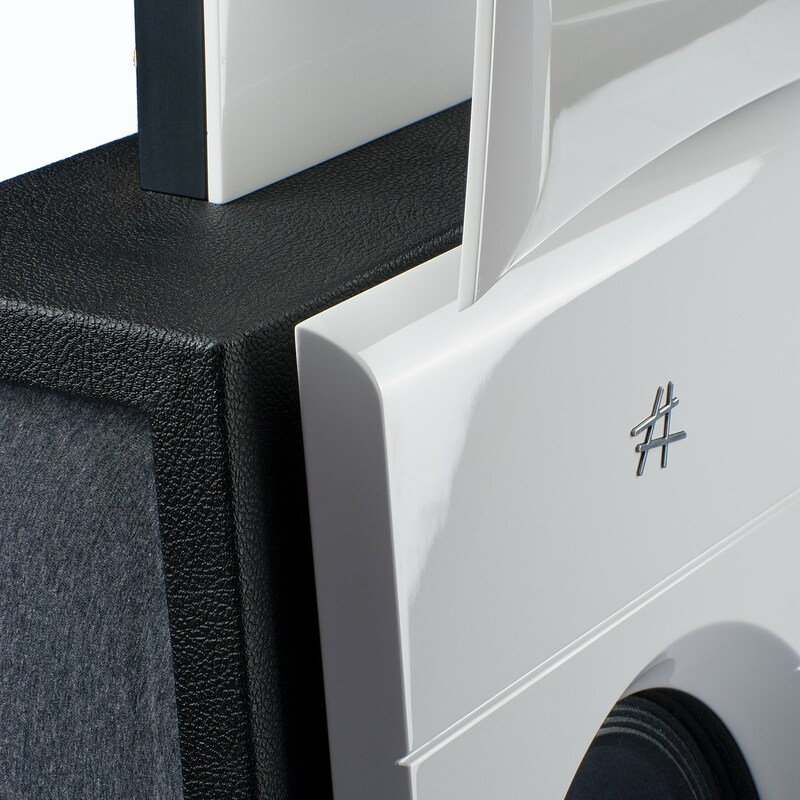 The plate (covered with a layer of vinyl) then pushes with its great elastic strength over the entire surface of the flange of the speaker to ensure good contact between the parties. The cross-over was created from two separate bases, one for wf and one for the trumpet. The masses are completely separate in order to take advantage of the bi-wiring and bi-amping. 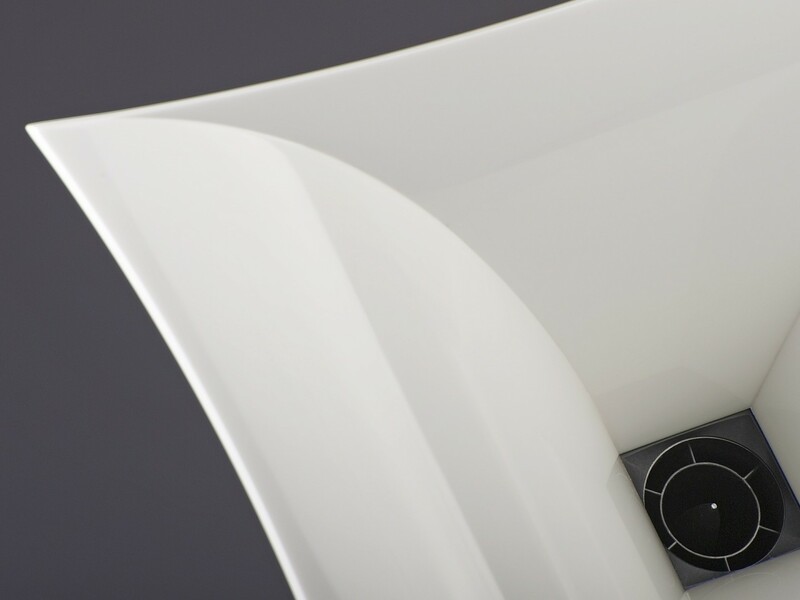 These supports are made of PVC by a ten millimeter thick machine with numerical control to take advantage of the wires connecting wiring cables to the speakers, which nullify the contact resistance of the traditional bases in vetronite to create a better signal transfer. The components of the cross-over have been carefully selected with many listening tests because it will provide the shortest possible signal degradation. In particular, have been chosen as the speakers in series, the custom capacitors to our specifications, with pure copper coils with very low resistance in series on the signal. Only the best pieces of finest wood and most innovative materials, we make available an endless array of customizations based upon your requests to best match our products with your interior designs and prestige.